• Production capacity: about 25/30 packs per minute. • Air consumption: 5 liters per cycle - 7 bar. • Dimensions of the product: Standard: 150 x 200 mm. (200x300 on request). • Minimum height of product: 115 mm. • Maximum height: 300 mm. • Clip length: 40 mm. - Width clip 8 mm. • Minimum distance between the device and the clip: 30 mm. 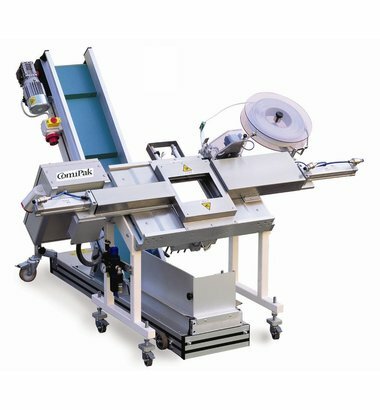 Clipping machine flexible and simply to use which applies a plastic clip-band.It is equipped with a large display that allows counting of the applied clips.